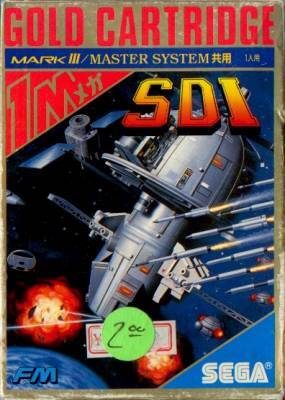 Global Defense / SDI (Strategic Defense Initiative) - Games - SMS Power! Earth is under attack! 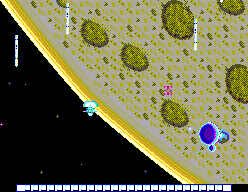 From secret bases hidden in the farthest reaches of the galaxy, deadly missiles have been sent to destroy your home planet. Earth needs a Champion, someone with courage...the skill to operate a Global Defense satellite...someone who is brave enough to fight a space battle with almost impossible odds. Earth needs you to take on the enemy in one of the meanest, toughest space battles ever! 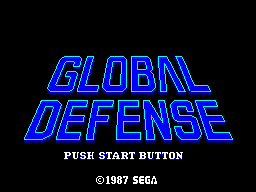 You've got the Global Defense Satellite and a supercharged laser cannon. 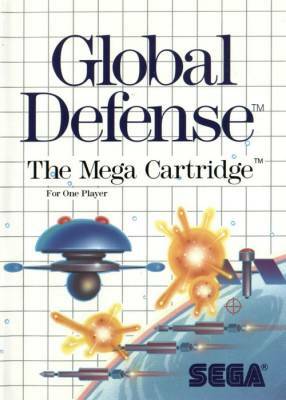 Through ten waves of nonstop action, seek out and destroy the enemy missiles and satellites...zapping anything that gets in your way. Each wave is tougher. The risks, greater. Nobody said it would be easy. 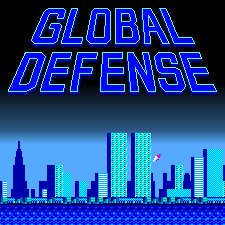 Are you ready for Global Defense™? Black cartridge. In Sega Game Box 9 unit.